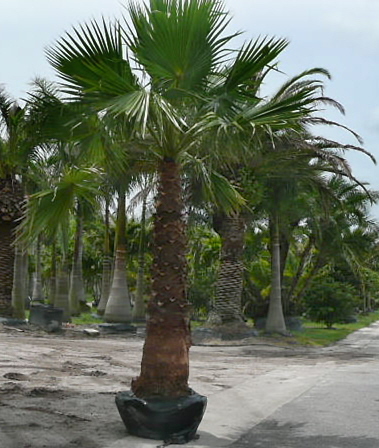 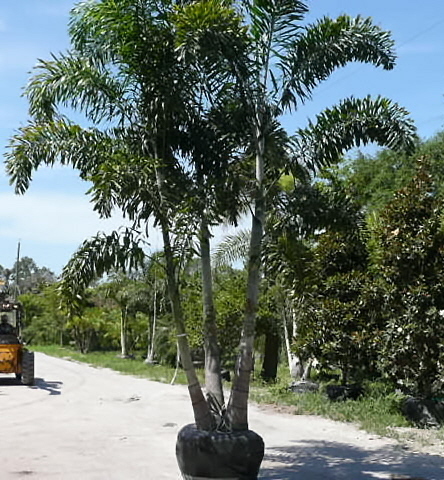 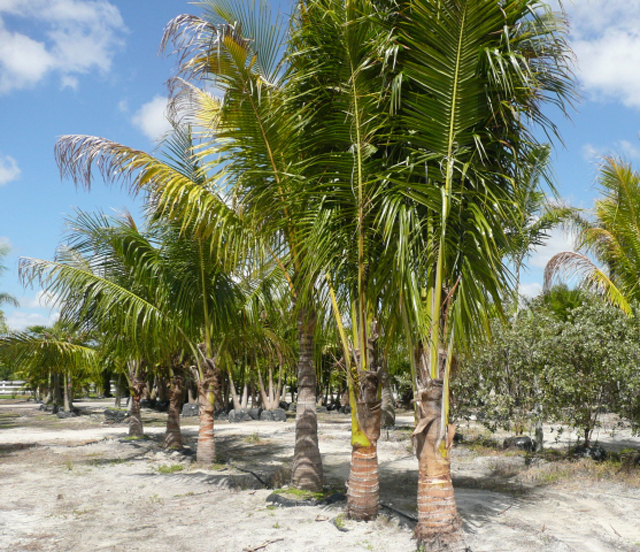 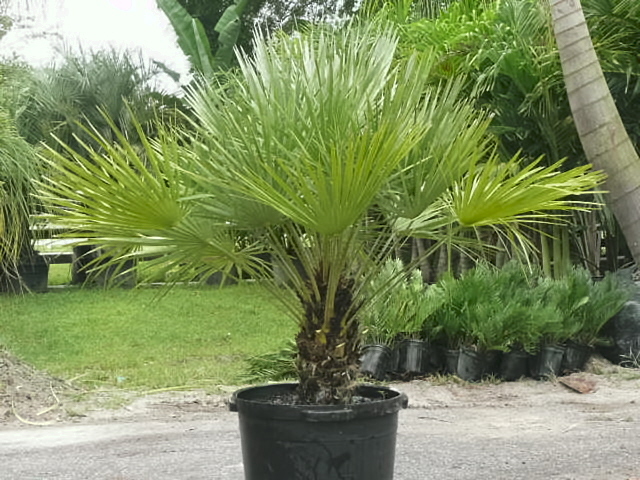 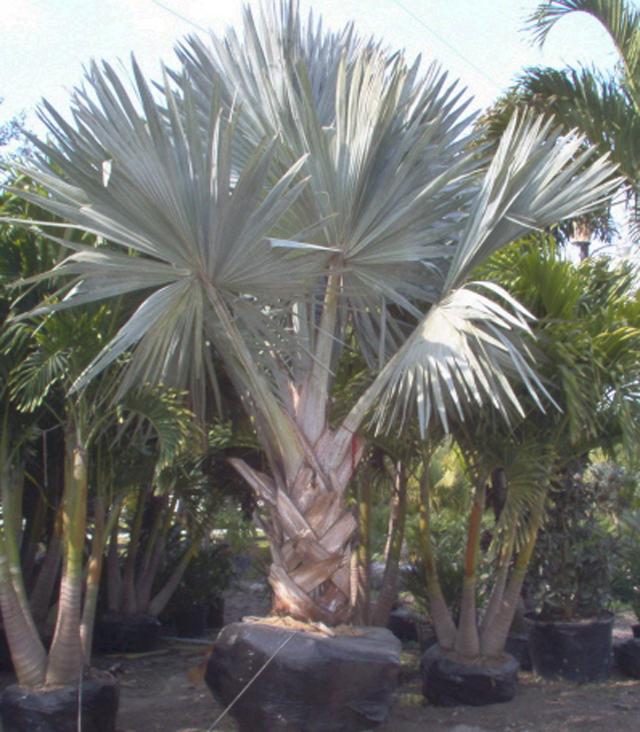 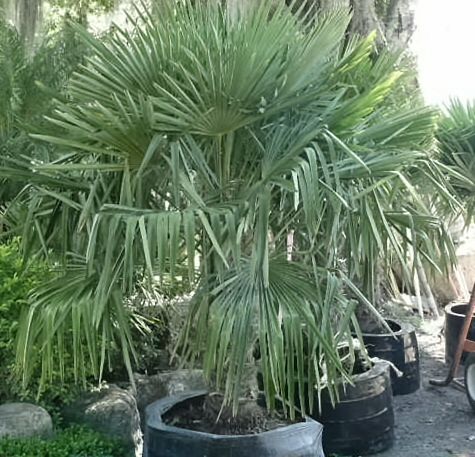 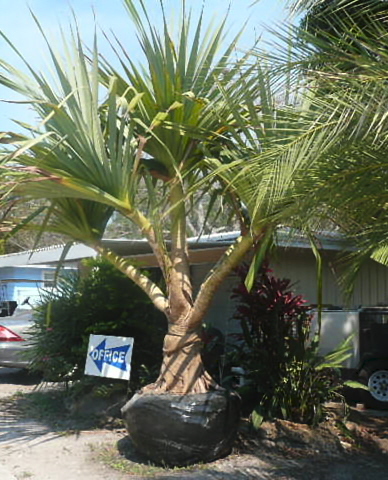 The silver Bismarck has become one of the most sought after tropical fan palms for florida landscapes. 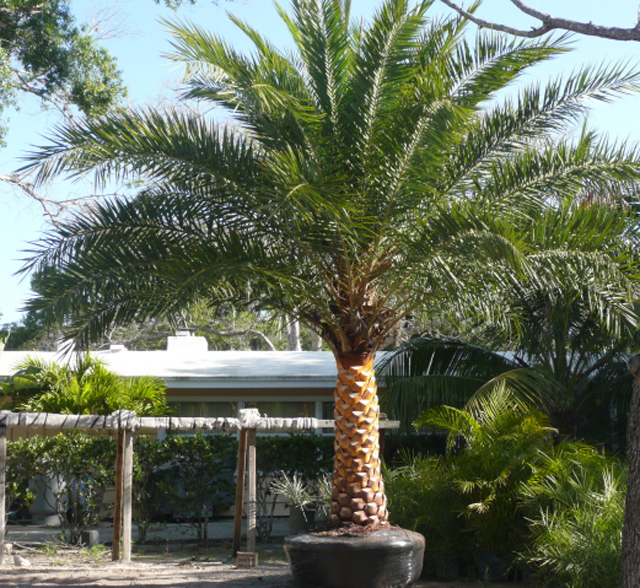 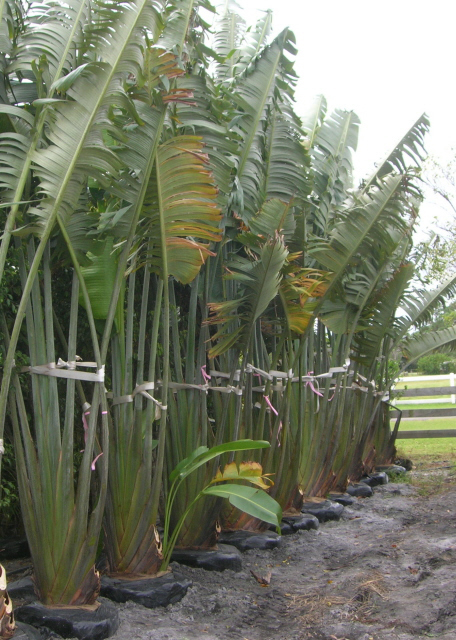 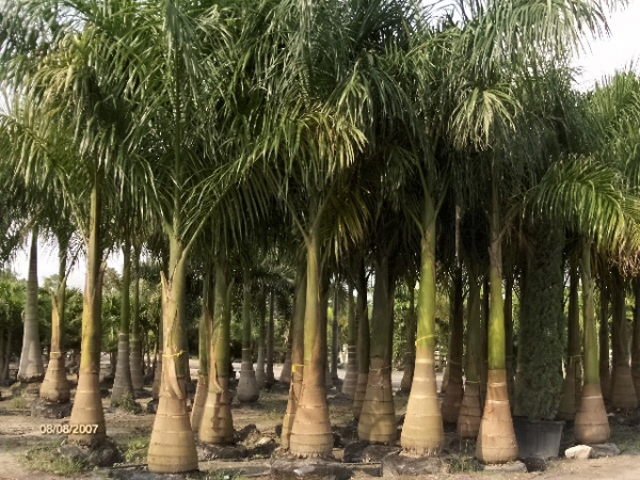 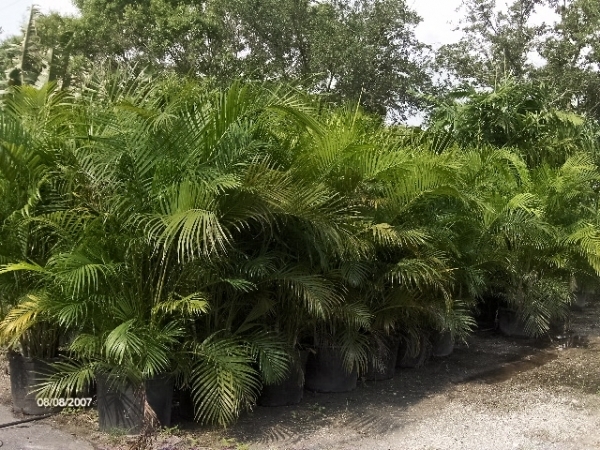 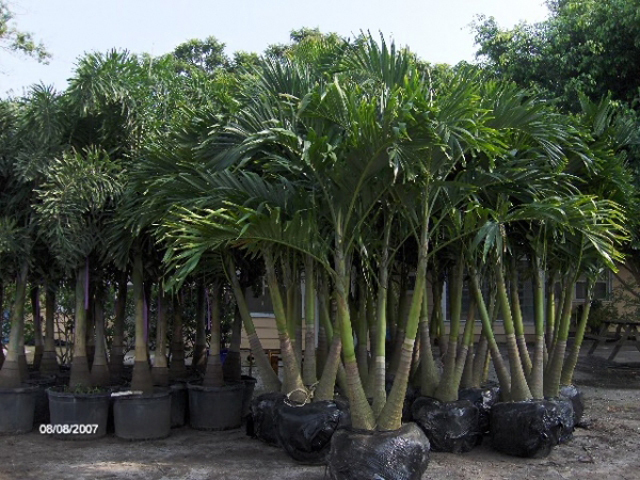 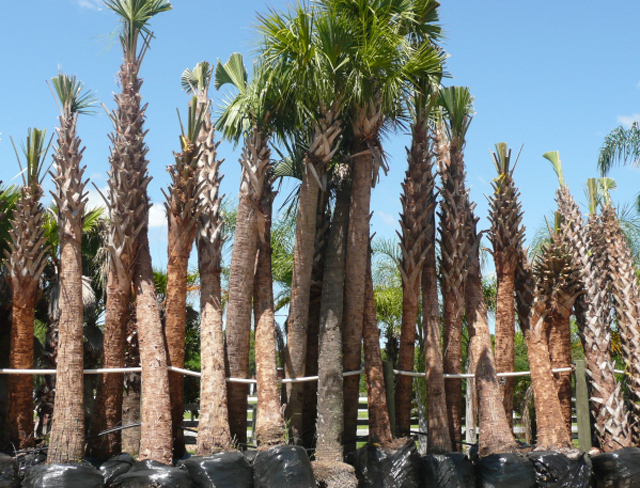 Its large and formal appearance makes it an excellent choice as a specimen palm for commerical and residential landscapes. 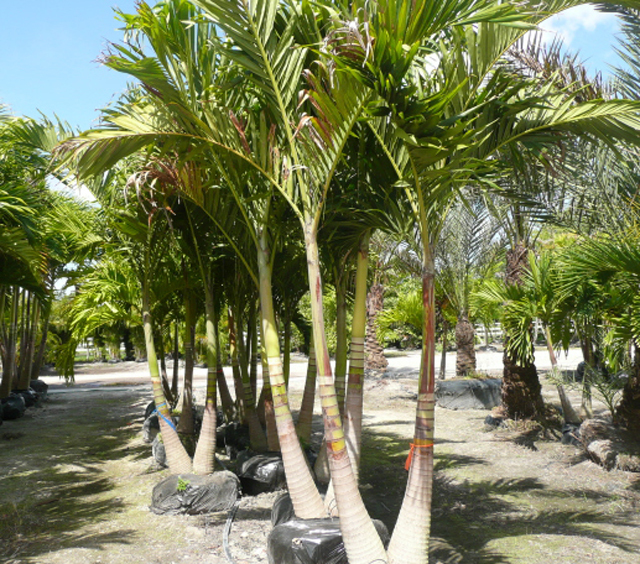 Its robust size may overwhelm some plantings, making it a poor choice for small houses and compact residential lawns. 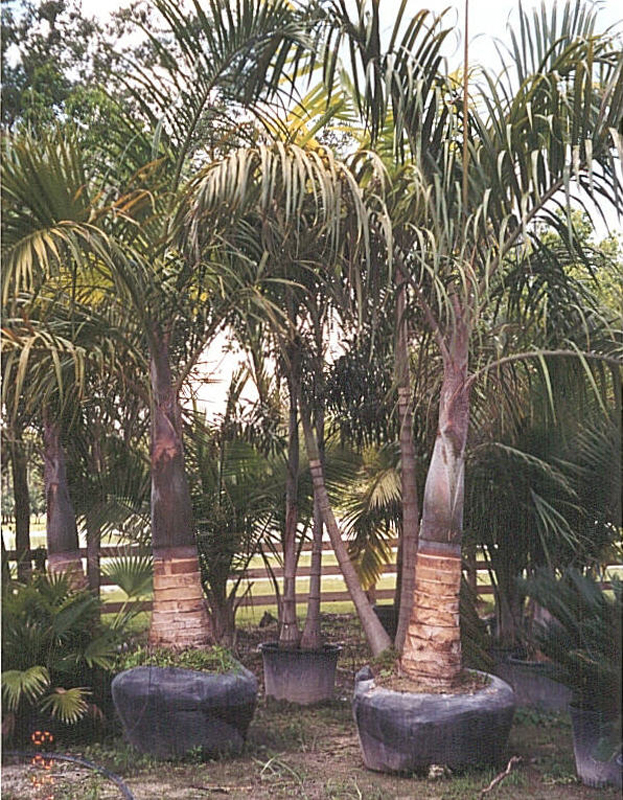 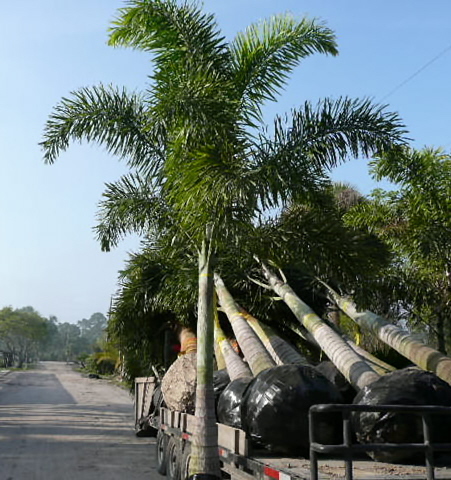 The individual stems of clustering fishtail palm cease vegetative growth after a period of years and begin to flower from the top down. 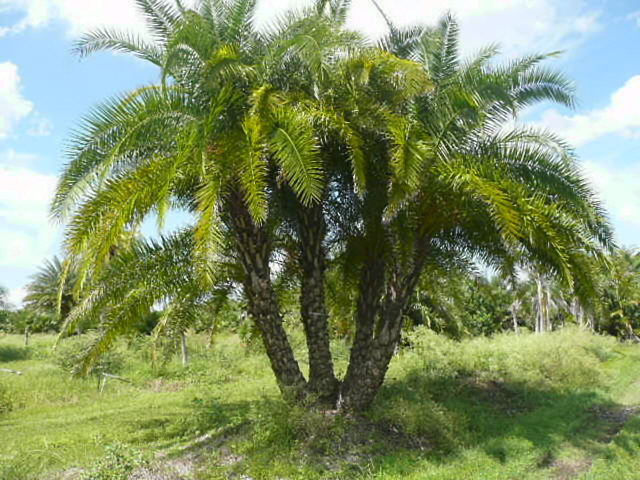 After the fruit has ripened, the stem dies. 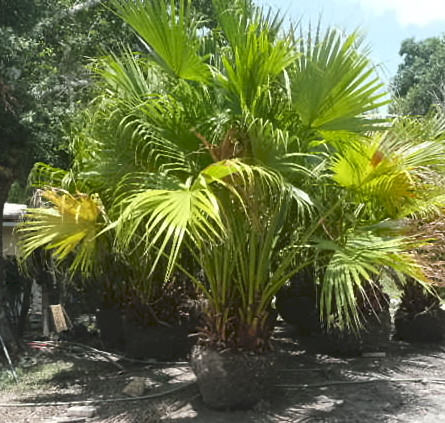 Fortunately, in this species new clustering stems are continuously coming along to replace those that have fulfilled their short lease on life. 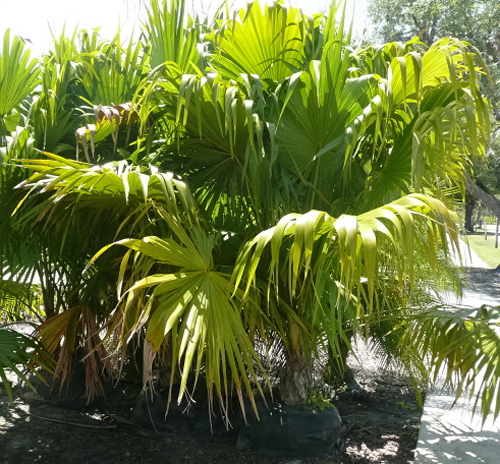 The unusual form of the leaves makes this species an eye-catching specimen plant. 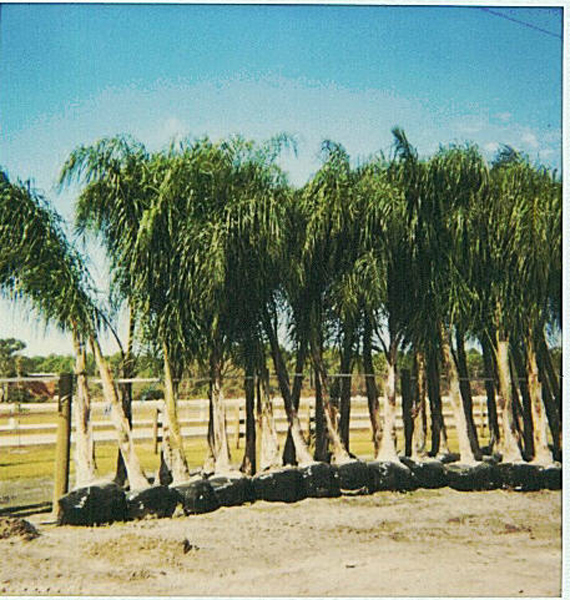 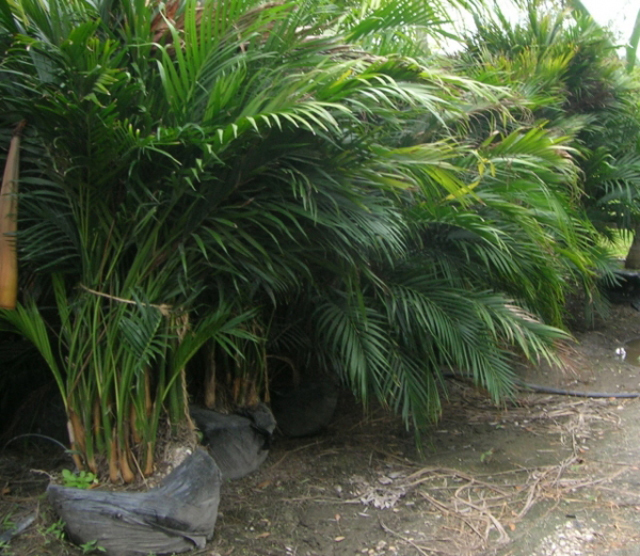 The native Florida Thatch palm is perfect for small areas and is adaptable to high pH and coastal conditions. 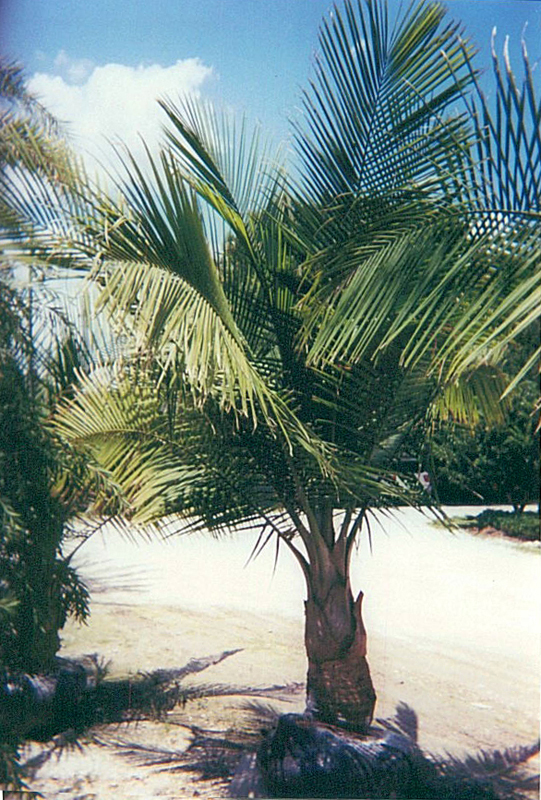 It is an easy, carefree way to attain a classic, tropical look. 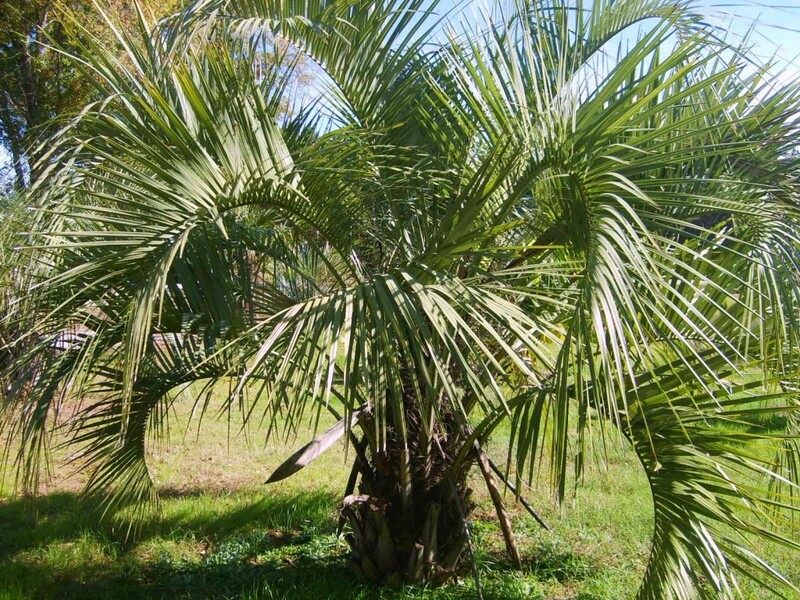 the Florida that is a slow grower, but is equally attractive when young or old.